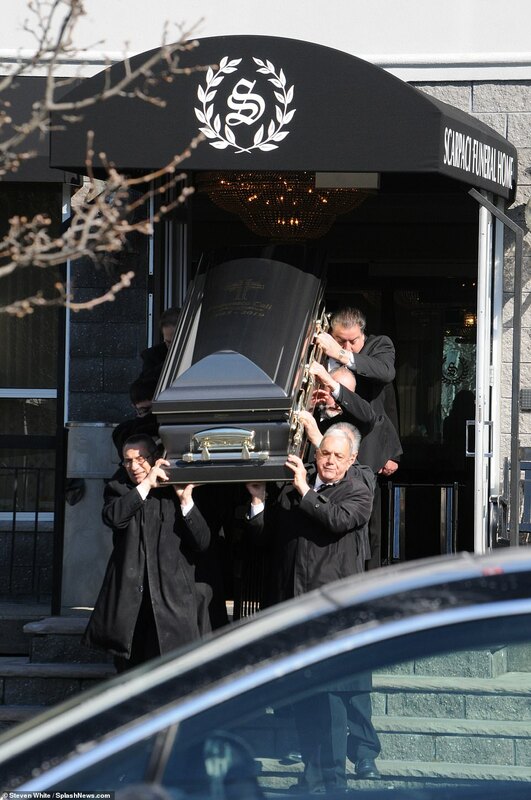 Gambino crime family boss Francesco ‘Franky Boy’ Cali’s funeral in Staten Island on Tuesday was a quiet, dignified affair with just a hint of the violence many of the mourners are known for. Cali, 53, was laid to rest in a private service then was taken to the Moravian Cemetery. The mourners were a who’s who of current figures of interest to authorities which photographed some of them as they carried Cali’s casket out of the funeral home before taking him to the cemetery. Four black unmarked police cars watched the service from across the street. 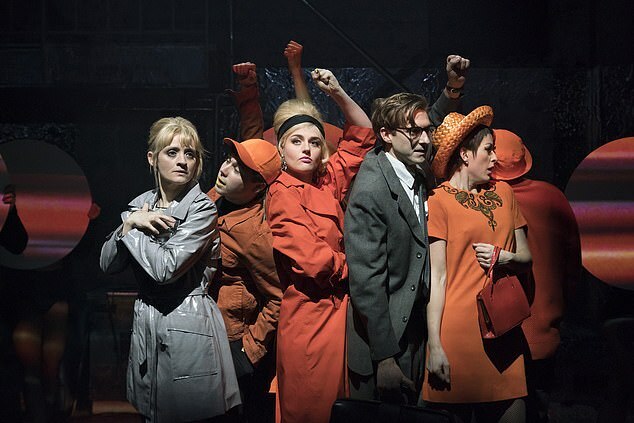 ‘They want to know who shows up, who the players are, who’s going to possibly take over, who’s active, who‘s not, the pecking order. ‘Unfortunately, it’s very limited. But they have to take what they can get,’ one law enforcement source told The New York Post about them being there. 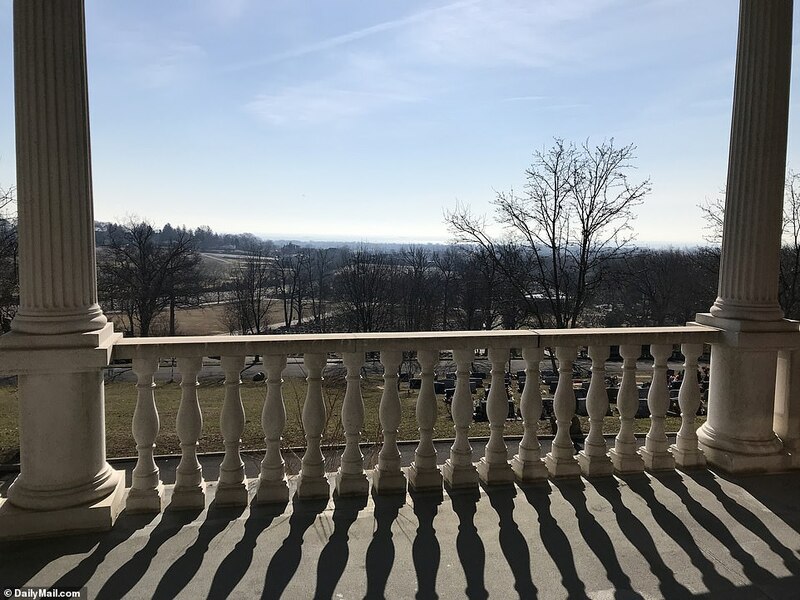 Once the service at the Scarpaci Funeral Home was over, his casket was driven to the nearby cemetery and was placed in a crypt in the Hillview Mausoleum, an extravagant two-tier building where the thousands of spots are highly coveted. Next to it, a bunch of white roses were left. 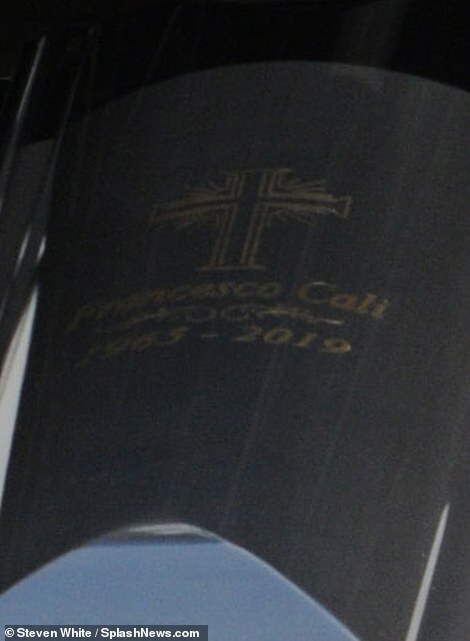 Cali’s name has not yet been engraved on the stone but a temporary sticker marked his place. As the mourners made their way out of the cemetery after the incident, one reportedly threatened a reporter who was asking questions inside the office. 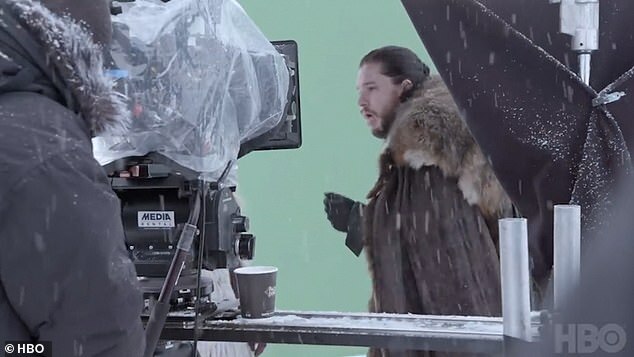 ‘Get the f*** out of here before I blow your f*****g head off,’ he said, according to The New York Post. The source also claimed that one of the small number of attendees paid for a white-pillared, red-marble mausoleum in full with cash carried in a suitcase. Cali is buried in a lower level spot in the two-tier mausoleum. 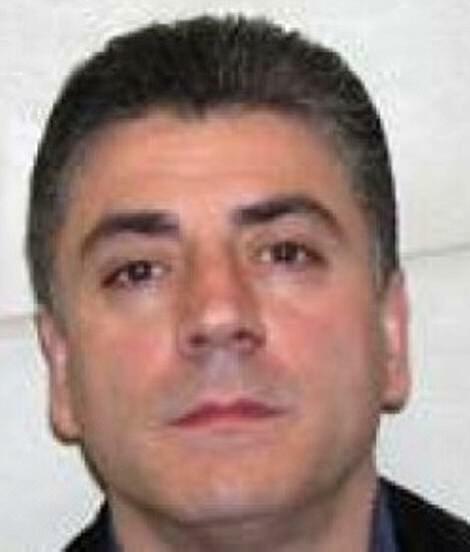 Thomas Bilotti was the Gambino Crime Family underboss for two weeks. 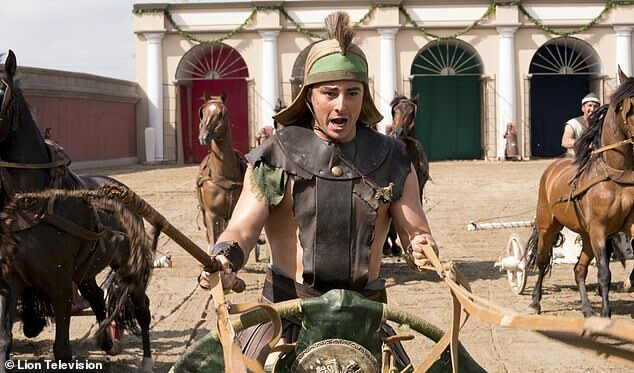 His promotion triggered the assassination of Castellano. 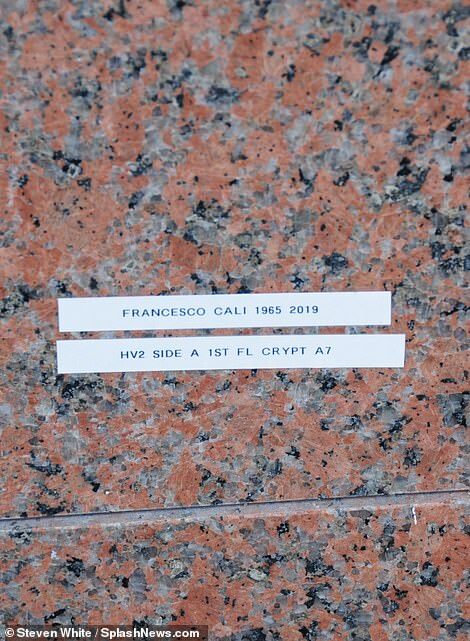 Born 1940, he passed away in the same incident as Castellano outside a Manhattan steak house – the executions said to be on the orders of John Gotti – and he can be found in Zone F Grave 120. 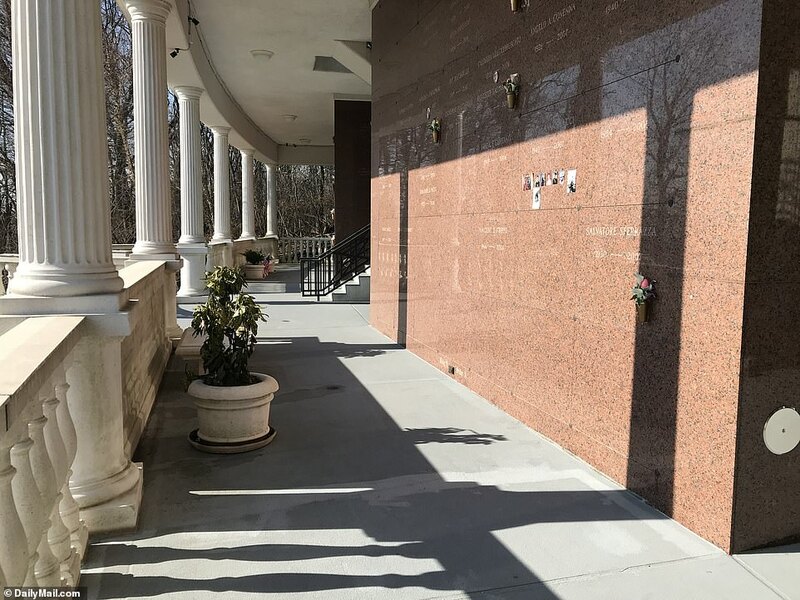 Underboss of Gambino Crime Family, Frank DeCicco, served as a Capo and was laid to rest at 50 in Moravian Cemetery in 1986. He died when Genovese associate Herbert Pate detonated an explosive attached underneath a car, that was meant for John Gotti. 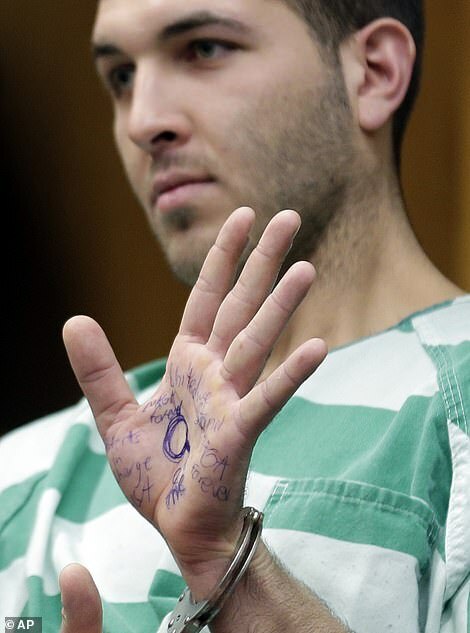 The man charged with killing Cali, Anthony Comello, 24, appeared in court for the first time in Toms River, New Jersey on Monday for an extradition hearing. 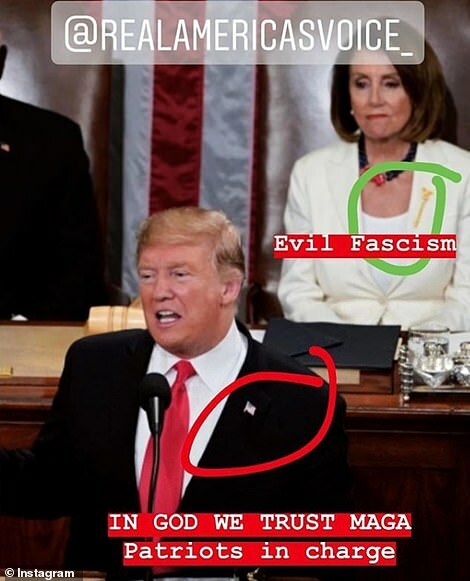 During the hearing, he showed off drawings on his hand which read ‘MAGA forever’ and ‘QAnon’ – a far-right conspiracy theory alleging that a ‘deep state’ is working to bring down President Trump. 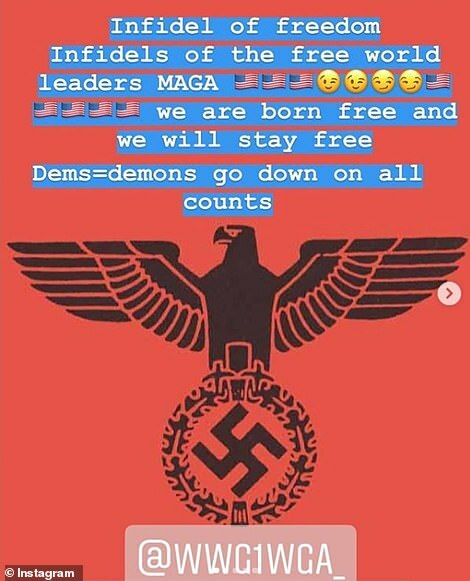 Those messages are in line with the posts from his secret Instagram account, the existence of which was first reported by the New York Post. Comello ‘used to post crazy things about politics and Trump and Democrats,’ a source told the Post. The Instagram page was created under the handle ‘realamericasvoice_’. 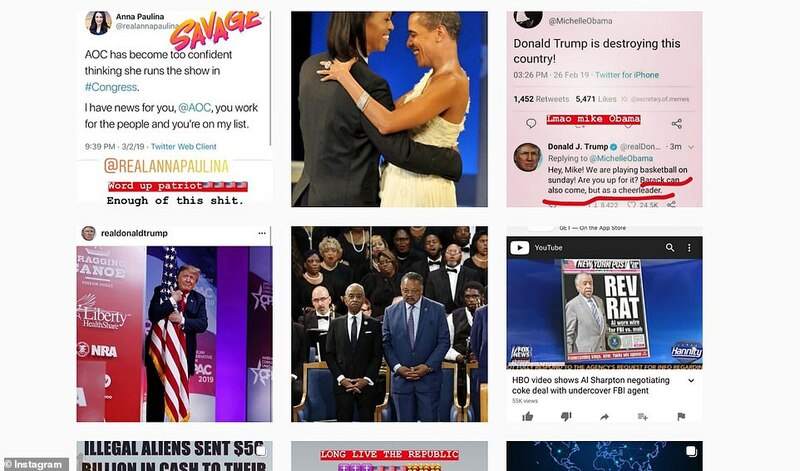 Another Instagram post depicts Michelle Obama, the former first lady, as a man dancing with ‘wife,’ Barack Obama, whose head is photoshopped onto her body. 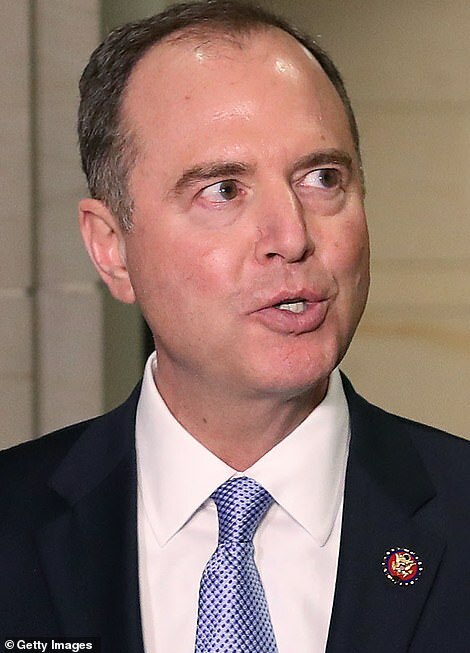 Comello first drew the attention of police after he bizarrely tried to make a ‘citizen’s arrest’ of prominent Democratic figures including New York Mayor Bill de Blasio, Pelosi, U.S. House Rep. Adam Schiff, and U.S. House Rep. Maxine Waters. 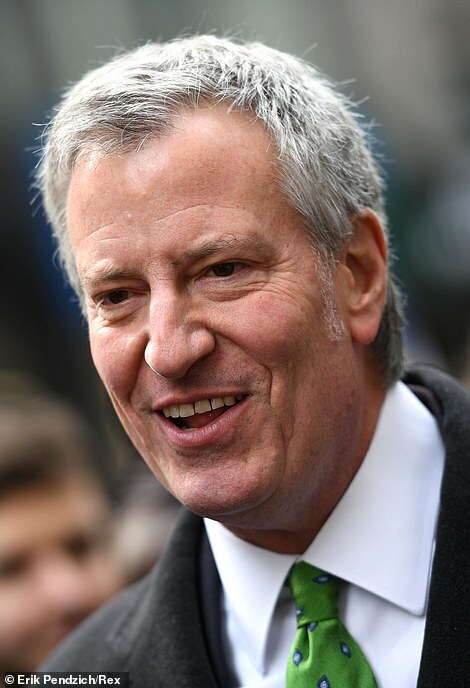 ‘There was an incident at the federal courthouse in lower Manhattan where he showed up [on February 21] asking to make a citizen’s arrest of a number of elected officials,’ NYPD Deputy Commissioner John Miller told the Post. 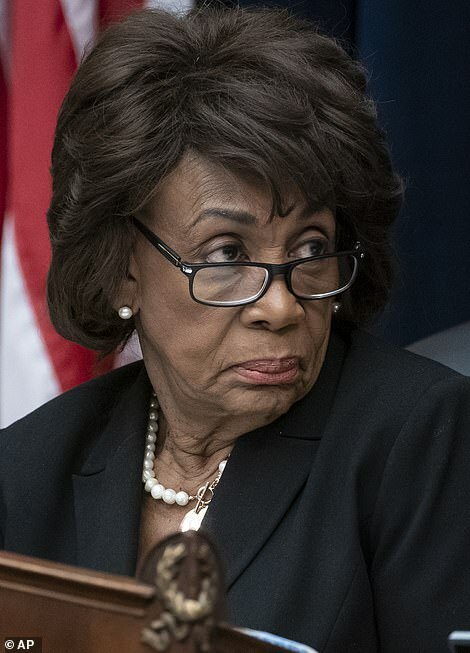 ‘These were rambling statements, but it involved that he wanted to make citizen arrests of Maxine Waters, Congressman Schiff,’ Miller said. 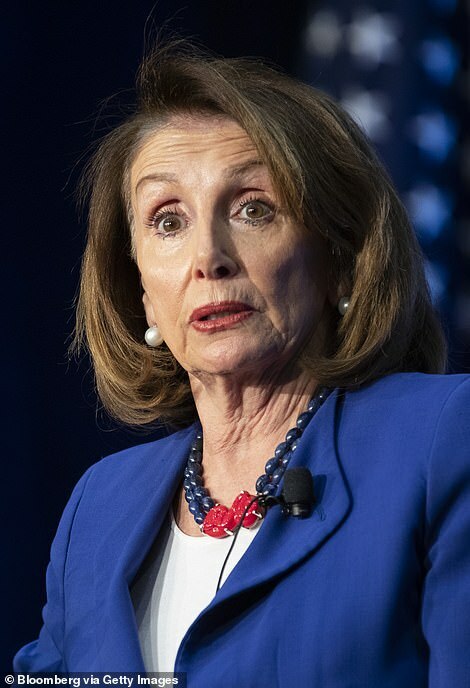 Schiff, Waters, and Pelosi are members of Congress from California. They are also outspoken critics of President Trump. Comello’s Monday courtroom stunt has already been compared to the actions of ‘MAGA Bomber’ Cesar Sayoc. Floridian Sayoc, 56, was charged in October last year with sending 16 pipe bombs to President Trump’s political enemies, including Secretary of State Hillary Clinton and former President Barack Obama. 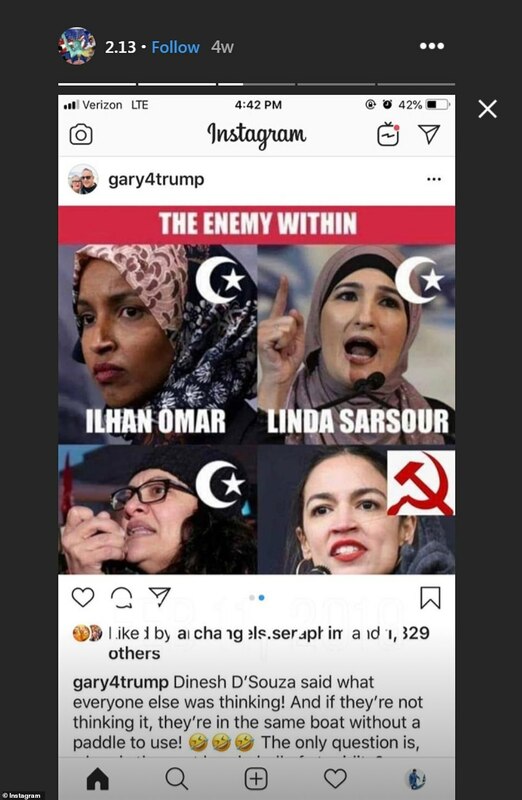 When he was arrested, Sayoc had been living out of a van covered with pro-Trump stickers and images of prominent Democrats with cross-hairs on their faces. Sayoc faces life imprisonment if convicted. 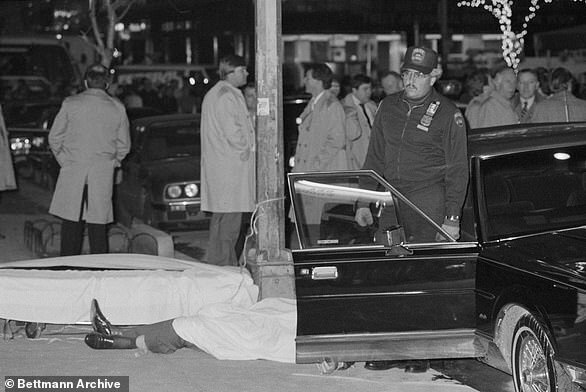 Frank Cali’s murder is the first hit on a Mafia boss since John Gotti arranged the assassination of then-Gambino head ‘Big Paul’ Castellano – outside Sparks Steakhouse – in 1985. 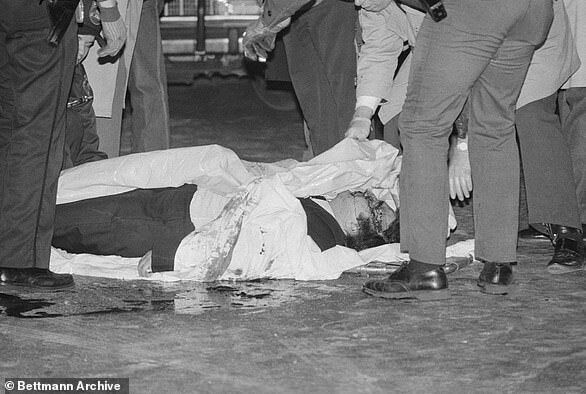 The notorious assasination saw Castellano, 70, and his underboss Thomas Bilotti, 47, both shot in the face by a three-man hit squad just after the two victims had stepped out of their car. Castellano’s reign as kingpin had begun in 1976 after the death of Carlo Gambino. The Gambinos were the most powerful of the five families of the New York City mafia and worth an estimated $500 million a year. Big Paul was made boss instead of the likely heir, the then-underboss Aniello Dellacroce – a decision which annoyed those loyal to Dellacroce. They were further enraged by Castellano’s insistence on living as a recluse in his mansion in Todt Hill, Staten Island, which earned him the moniker, ‘the Howard Huges of the Mob’. 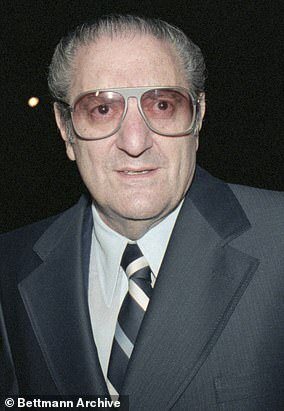 When Dellacroce died of cancer in 1985, Castellano disrepected the Family by not attending the funeral. The final nail in his coffin was when he made Capo Thomas Bilotti his underboss. 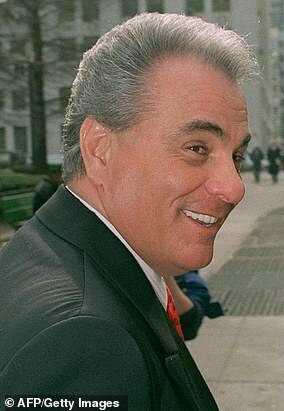 John Gotti, who had been loyal to Dellacroce and didn’t think Castellano was worthy of being the Don, and the irate Gambinos then decided to whack Castellano. 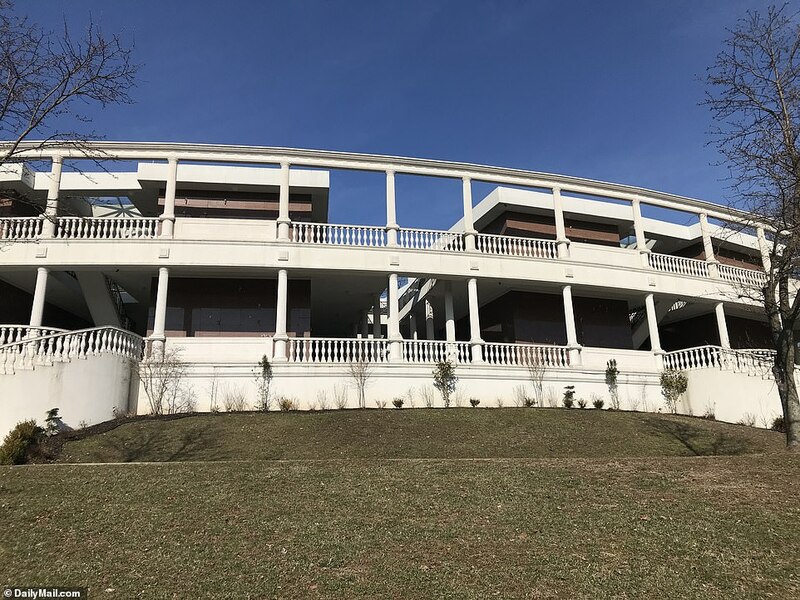 At the time, Castellano had been on trial in Manhattan federal court on racketeering charges involving three murders and an international stolen car ring but the trial was in recess. On December 15, 1985 Gotti and the Dellacroce devised a plan to assassinate Castellano and Bilotti – by luring the boss to a meeting at Sparks Steakhouse on 210 E. 46th St., between Second and Third Avenues. At around 5.30pm, Gotti and Salvatore ‘Sammy the Bull’ Gravano were driving in Gotti’s Lincoln Town Car when they spotted the boss in his Black Lincoln Town Car. Gotti drove on ahead and parked at a vantage point across the street from the restaurant. 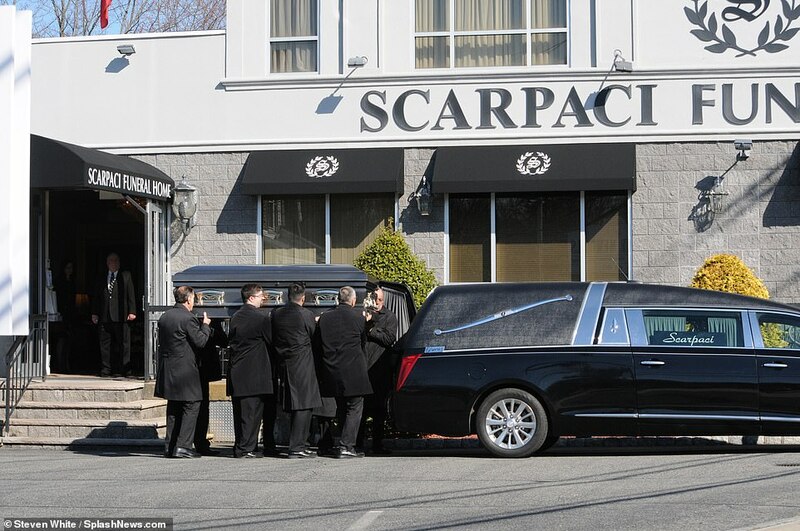 At around 6pm, Castellano and his Underboss Thomas Bilotti pulled up at Sparks Steakhouse to attend a sit down with Frank DeCicco to apologize for missing Dellacroce’s funeral. 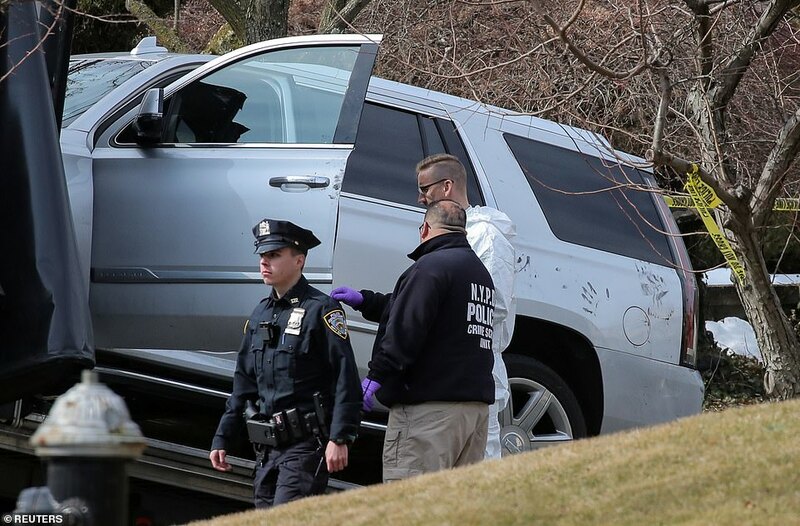 Just as they exited the car, the assassin shot Castellano six times. He fell to the pavement and died. 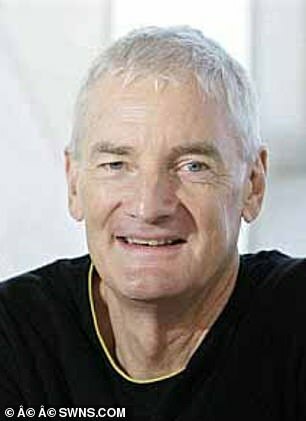 Bilotti, who was in the driver’s seat was also shot dead. 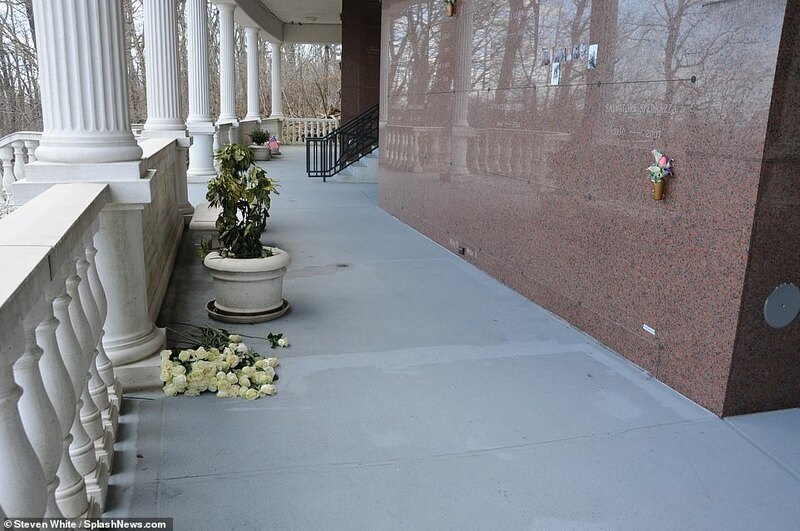 Gotti then drove past the scene, while Gravano looked at Bilotti’s body, saying ‘he’s gone’. Soon after, John Gotti became Boss, Frank DeCicco became Underboss, and Gravano became Consigliere in 1986.